Let’s cut to the chase. We have, in our possession, one of the greatest products in history. An innovative, game-changing, life-saving, illness-preventing, city-improving product. I’ve been describing it as a tool, but for many people it is a hobby and a passion, for others a lifestyle. In this chapter, let’s focus on the bicycle as a product. Like all products, it needs customers. In order to get customers we need to talk about it, spread the message, market it. 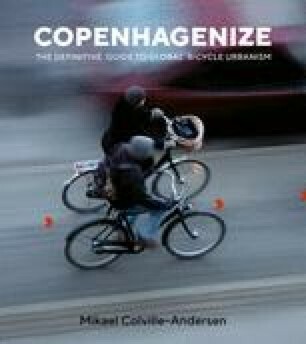 This chapter considers two important aspects of that task: increasing the number of bicycles in our cities and how to speak to the potential cyclists. With such an amazing product you would think it would be a piece of cake to get people on board, but there are still flaws in the techniques that are being employed.